1. Is there any long term contract? No. There are no long term contract. 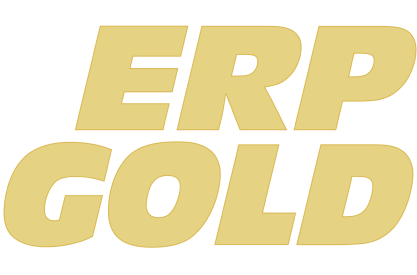 ERP Gold is a monthly subscription service. You can discontinue the service at any time through control panel. 2. What is an “Account” means at ERP Gold? ERP Gold is a B2B service, An “Account” means a company or a business entity. 3. What is a relation between an Account and a user? An Account can have multiple users. 4. What is an Active Account means? A company or business entity with at least one active user. 5. Can I have an account without a user? No, ERP Gold system requires at least one active user. 6. What is the difference between Active and DE-active users? An Admin can activate and deactivate users. 7. How can I limit the access of users to different parts of ERP Gold? Through the control/admin panel you can restrict the access of a user to different modules or forms or reports. 8. What is a Subscription? 9. What is a, “User Subscription” means? User subscription means the no of users allowed that can use the ERP Gold services simultaneously or at the same time, at any given time. 10. Do we have a limit to add users? There is no limit to add users, however the “Active Users” out of your total users cannot exceed the no of subscriptions. For example an account have 5 user subscriptions, admin can add as many users as he wants through control panel, but the no of users that can be activated at any given time cannot exceed 5. 11. Can I add more user subscriptions to my company? Yes you can add more users at any time, you can buy more user subscriptions through your admin control. 12. Can I add user subscriptions at any time of the month? Yes, you can add user subscriptions at any time of the month, however there is no discount on monthly billing cycle. So regardless when you subscribe during the month you will be charged for the full service of that month. 13. What is a monthly billing cycle? We charge your credit card every 2nd day of each month, so our monthly billing cycle is from the 2nd day of the month to the 2nd day of the next month. 14. Is there any extra services that are not included in subscription? Yes there are services that are not included in basic subscription, for example integration of PayPal or credit card to your account, integration of FedEx or other shipping services with your account. 15. How do I get those services? 16. Are these extra services available through store are based on number of users? Some services are restricted based on users, and you have to assign from Admin/Control panel that which users will be using these services but most services are available to all users in your account once subscribed however you can restrict the users access to them as you want via the admin panel? 17. How can I discontinue? You can discontinue at any time by logging in to your account and fill out the Discontinue service form available in the control panel. 18. How long it takes to continue the service? It takes about 24 hours to discontinue your account re-occurring payments, however your access to the account is disabled immediately. 19. Would I be charged if I discontinue the service on the last day of the month? No, you will not be charged if you discontinue the service on the last day of the month. 20. Would I be refunded if I discontinue the service in the middle of the month or any other date? No you will not be refunded, if you chose to close the account on any date it is your choice. You will not be charged for the next month however there will be no refund for the remaining days of that current month. 21. What if I need support? We provide the supports to our clients, via support forum 24/7 or by phone during normal business hours from M-F 9:00 AM to 5:30 PM EST. 248-581-9001. 22. Does ERP Gold have an open API? No ERP Gold does not have any open API yet, however this is a work in progress and API’s will be available soon. 23. Does ERP work with my email? Yes of course ERP works with following email providers Google and Outlook. You’ll never have to worry about your email not syncing with ERP. The safety of your data is a top priority for us. ERP follows the same security and encryption standards that financial institutions and public companies require. Visit our security page for all the gory details. 25. What kind of payments do you accept? We accept payments through credit card. 26. How to reset my ERP password? If you forgot your password then go to FORGOT PASSWORD link and click on it. If your account will be available on ERP then you will receive an EMAIL instantly there will be a link you have to click on it and it will take to you ERP site where you can set your password. 27. How can I set my composing language? We didn’t provide multi-languages yet. Just English language is available. 28. It is advisable to have ERP Gold for big business establishments? Anyone can use the ERP Gold as long as the system full fill its needs. 29. Can we customize ERP Gold? Yes ERP Gold is customizable to your needs, ERP Gold Cloud can be customized on limited bases to fulfill your needs, and a fully customized version of ERP Gold is available as ERP Gold Enterprise. 30. My business requires lot of customization? Feel free to call or email us we can work with you to create a solution that is 100% customized purely based on your needs. 31. How much a customization cost? Based on the requirements, for example a custom built special report can cost from $200. 32. Can I have a customized version of ERP Gold run on my own server? Yes you can chose to run ERP Gold Enterprise version at your server at your office, please feel free to call or email us for more details. 33. Is it possible to subscribe for individual modules? No, ERP Gold is available as a complete system, you can chose to use the portion of the system, and however the subscription is not available for different modules. 34. Can I export my data? Yes you can export your data from different modules, for example you can export your lead list, customer list, vendor list, invoicing and PO’s bank transactions and lot of other data available in different modules. 35. Is there any limit to export data? No there is no limit to export your data. 36. Can I use my exported data from ERP Gold to any other software of system? The exported data will be in CSV format, you can use it as you like that is your data. 37. What if I cannot export the data I want? 38. How can i import data into ERP Gold? Different modules have functionalities available to import data into ERP Gold, for example you can import your lead list, customers, vendors, inventory and many other things into ERP Gold. 39. What format do we need to import data into ERP Gold? ERP Gold takes data, in the form of CSV and XL sheets. 40. What if the data available is not in the given format? Feel free to call or email us for consulting, we support our clients where it is possible to import data. 41. What modules do we get with a subscription? 42. What if my question is not answered here?